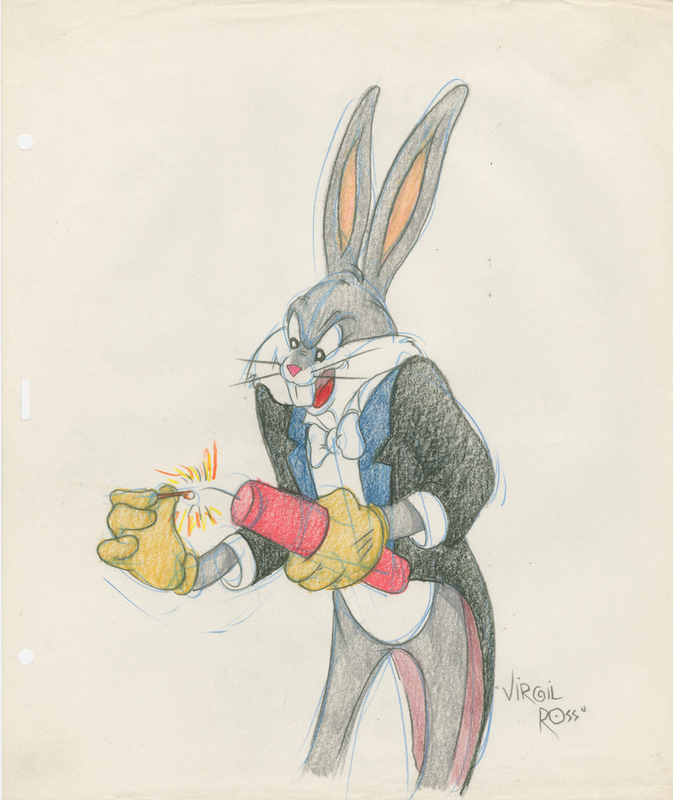 This is an original drawing that was created in the 1990s featuring a depiction of Bugs Bunny lighting a stick of dynamite, inspired by the 1946 WB short Rhapsody Rabbit. 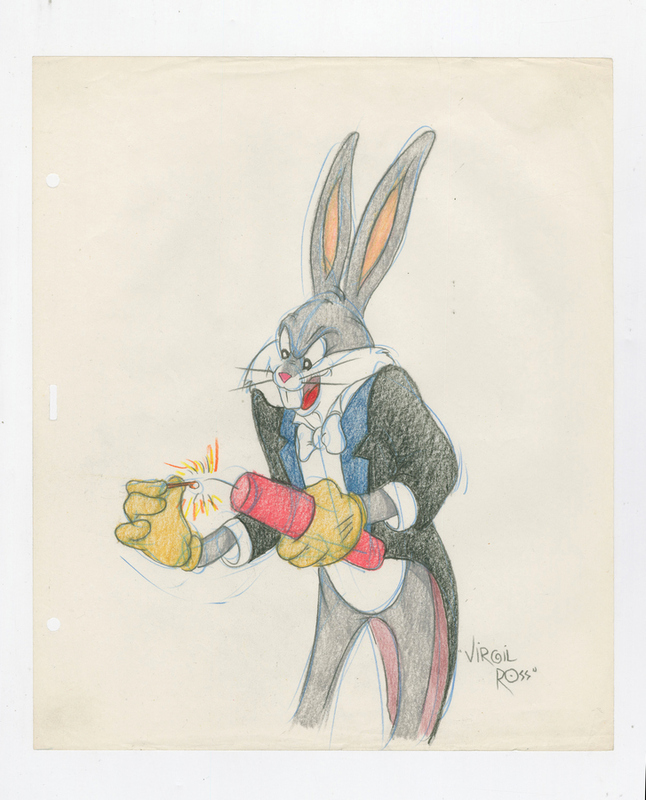 The drawing was created by legendary Warner Bros. animator, Virgil Ross, and is accomplished in graphite and colored pencil on 10.5" x 12.5" animation paper and the image area itself measures 11" x 6". The drawing is signed by Virgil Ross on lower right of the page. This drawing is in excellent condition.